Volunteering with Habitat for Humanity offers a unique way for a group of friends and family to come together and do something good for the community—all while learning new skills and having a great time. 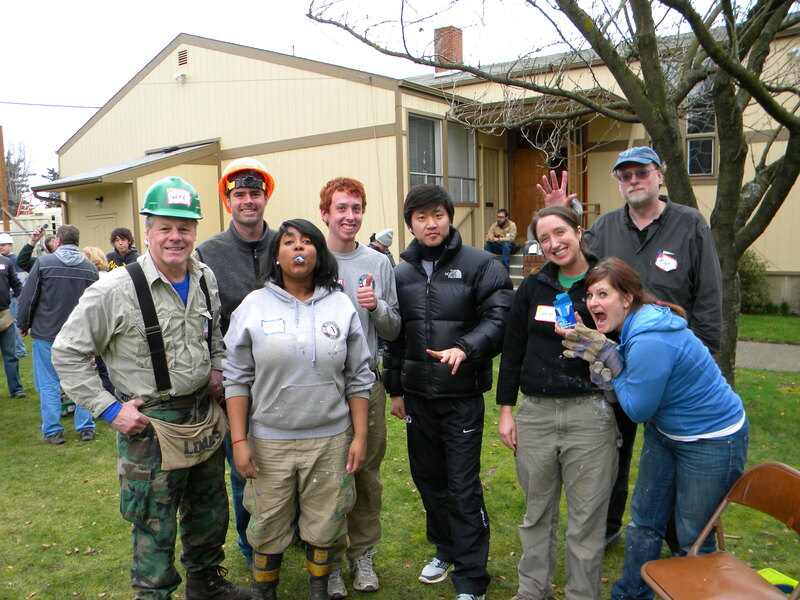 Whether you are celebrating a big birthday milestone or are looking for an activity for your college group, Habitat for Humanity will create a fun and welcoming volunteer experience for everyone. 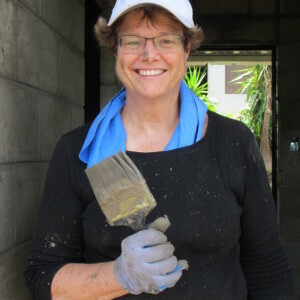 I celebrated my 60th birthday by having 35 friends join me in swinging hammers, laying flooring and painting the interior of a house in our community for a single mom and her three kids. We had a terrific time! And now the family has a safe and dry place to live, and the kids return to the same school district each year. I had the honor of handing them the keys at the dedication. All smiles. Was a perfect way to ring in a new decade. Interested in participating in a group build? Fill out the form below to get started! Typically we cannot schedule group builds more than two months out.